Signs on a cardboard box. 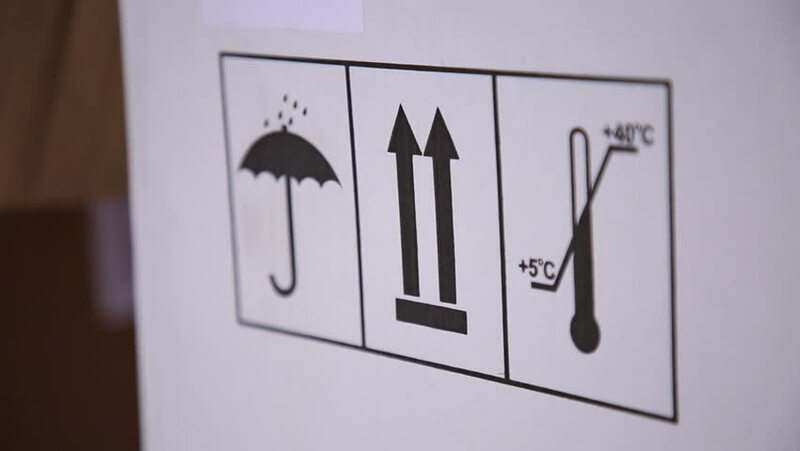 Signs are represented — to protect from moisture, restriction of temperature and handle with care goods. Box of white color. Signs are put with black paint. Close up.